Bear in mind that your vote will be stamped in at least ten establishments!! It’s a fun and inexpensive way to spend an afternoon or evening, touring the centre of Torrevieja and discovering some of the hidden delights of the city. 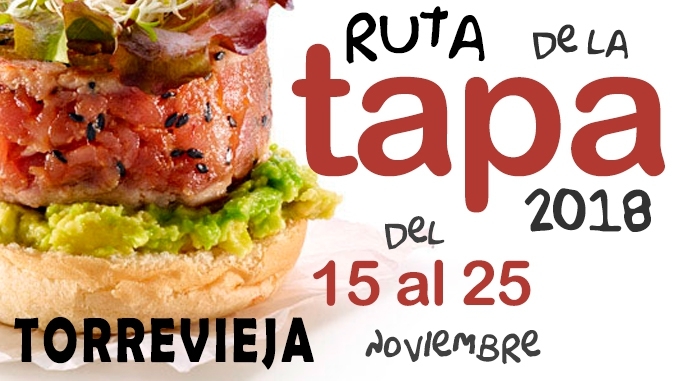 All participants can vote for their favourite Tapa, and in doing so, after you have collected 10 official stamps on the Tapas Route Card, be entered into a prize draw for a number of great prizes. A great event that many other local communities have also copied, and it is a success wherever it is held. Hora – Time: from 12pm to 4:30pm and from 7:30pm to 11pm.